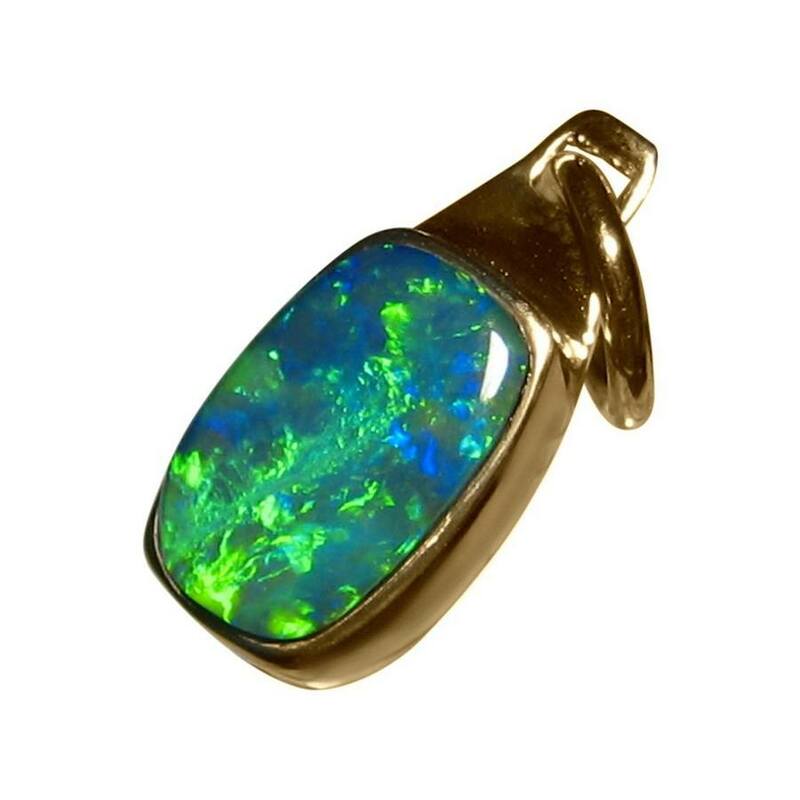 A quality Opal pendant in 14k Yellow Gold with one vibrant Green Opal. 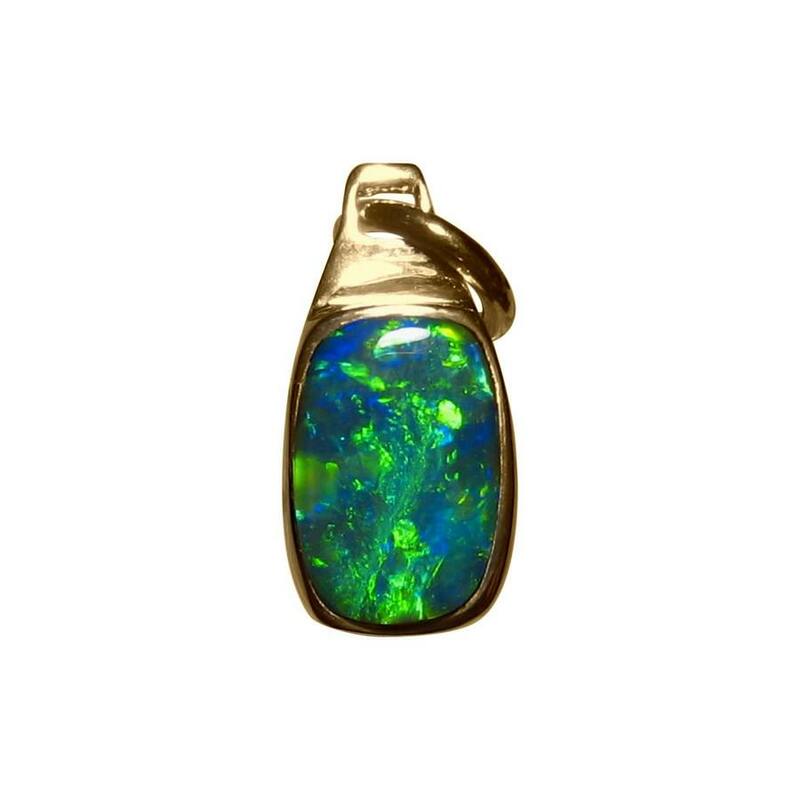 An Opal pendant in 14k Yellow Gold that men or women could wear. 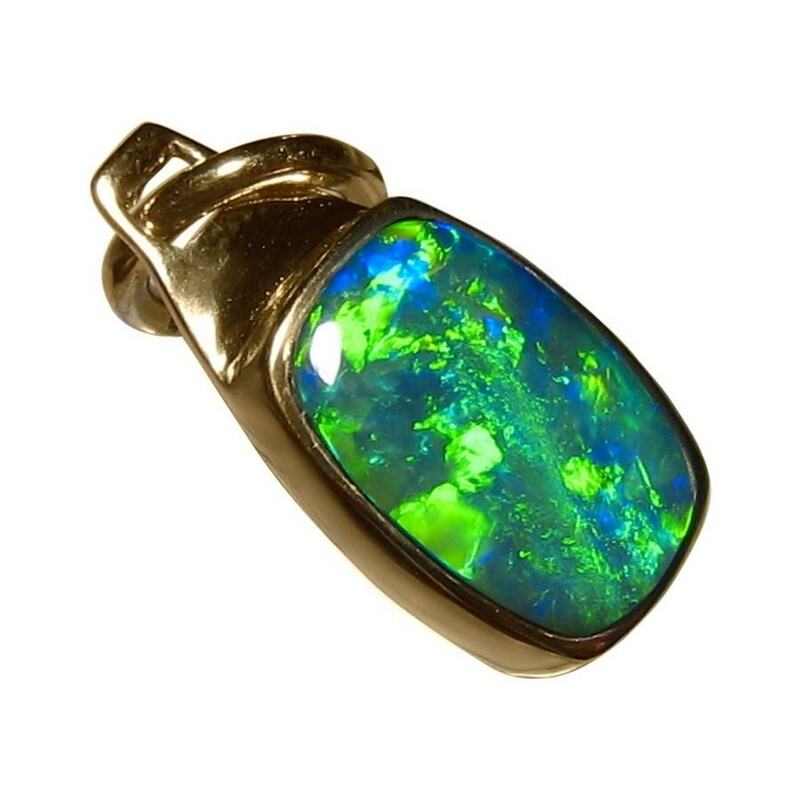 The 14k Gold pendant measures about 1 ¾ inch long including the bale and is inlaid with one vibrant and lively Lightning Ridge Opal and the video below will show the play of color and brightness as well as the high shine of Gold. A quality Opal pendant that is ready to ship but does not include a chain.